In March 2000, when Bill Clinton visited India as the United States president, K.R. Narayanan was his host as the Indian head of state. At a banquet in Clinton's honour, Narayanan spoke without mincing words. "For us," he said, "globalisation does not mean the end of history and geography and of the lively and exciting diversities of the world. As an African statesman has observed, the fact that the world is a global village does not mean that it will be run by a village headman. In this age of democracy it will be headed by a panchayat. For us, the UN is the global panchayat, and that is why we want it to be democratised and sustained.... In such a globalised world society, there would be no place for war, for hegemonistic controls or cut-throat competition." The message he wanted to convey was simple: globalisation must benefit all nations, big and small, rich and poor, and all peoples, especially those at the lower rungs of the socio-economic ladder, or else it won't be acceptable. In other words, economic policies must be crafted to help equitable development, a primary objective of our freedom struggle. Steeped in the values of our national movement, Narayanan frequently reverted to those principles, especially in his last days. Gandhi, Ambedkar and Nehru were the three leaders who helped mould his ideas. He was aware of the differences in their approaches; and yet, strove to synthesise their views so as to bring out the essential unity in diversity underlying our very nationhood. But he never fought shy of facing reality, however grim and bitter. He conveyed his opinions unequivocally but without rancour and taking care not to hurt anyone's sentiments. In his last article that appeared in The Indian Express after his death, he wrote: "While celebrating the achievements of our Independence for the last 60 years, we must question ourselves to find answers for the empowerment of the people who are on the margins of the society. Any attempt in that direction is an attempt not only for the empowerment of India, but also enlightenment of those people who are in important positions determining the destiny of this country." He emphasised on the spread of education as he was convinced that it was the only way to eliminate ignorance. 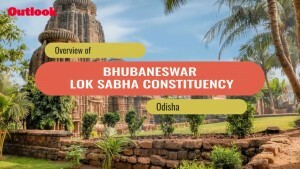 But last year, he told a gathering that when he was in the Planning Commission for a brief while as a minister of state he felt that "even our planners were suspicious of mass education as they were afraid of how the masses would behave towards the government if they were educated." This was the observation of a dispassionate analyst, not a professional politician. That was Kocheril Raman Narayanan—dignified, upright and outspoken. Hiren Mukerjee once described Jawaharlal Nehru as a "gentle colossus". That is precisely how one can characterise K.R. Narayanan. He was a scholar, educationist and diplomat rolled into one. That a person of his background could attain such heights is a tribute to Indian democracy. As head of state, he took certain momentous steps—like returning the recommendation to dissolve the UP assembly in 1997 for reconsideration to the Union cabinet headed by I.K. Gujral. Reflecting on that step, my father Nikhil Chakravartty wrote: "Narayanan has demonstrated...that even one voice in defence of morality can overcome the calculations of the many who may be entrenched today in the circle of power. His unostentatious appearance while at the same time upholding moral strength has won the respect of millions.... What he has done is to rekindle the hope that everything is not lost with the ugly cesspool all around." Much has been written about the pain and anguish he felt over the happenings in Gujarat 2002. Several of us criticised his silence. We were aware that he could hardly speak out against his own government, but felt that he should have rushed to Gujarat to demonstrate his solidarity with the victims of the carnage. Little did we know that while he was not physically fit to undertake the journey, he was constantly exhorting the then prime minister to deploy the army to save the innocent. In diplomacy he made an extraordinary contribution in improving Sino-Indian ties. This happened twice—in the mid-'70s when he went to Beijing to restore the ambassador-level ties impaired after the 1962 border conflict, and in 2000 when he travelled to the Chinese capital on a state visit to repair the ties that had suffered following Pokhran-II and certain utterances by persons in authority in South Block. As a member of the media team accompanying him, I saw how he engaged his host, the then Chinese president Jiang Zemin, in discussing regional and global issues. Those discussions helped evolve commonality of perceptions on a range of subjects—from globalisation to multipolarity. He was an engaging conversationalist with an inimitable sense of humour. A warm-hearted family man he would, on many occasions, disarm others with his sharp and witty comments. At a recent meeting of activists striving for the national rural employment guarantee scheme, he delivered a brief speech wherein he pointed out that since womenfolk constituted a large chunk of the assembly, the activists' eventual success in their endeavours was beyond any shadow of doubt. A person of exceptional integrity, K.R. 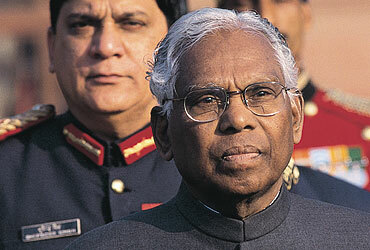 Narayanan played a pivotal role in reinforcing the country's democratic foundations. He was, of course, the first Dalit President of India, but then he was that and much more. His wise counsel and sane advice at this crucial juncture will be deeply missed especially by those who, like me, were privileged to interact with him closely and thus immensely profit by that association.